Fire Resistant Glass. You Can't Stay Protected Without It. Defend against the spread of flames and smoke. Bid PRL’s collection of fire resistant glass. Available in filmed and laminated glass-ceramic, this Keralite® product not only offers superior protection but excellent clarity. Furnished in a wide variety of sizes, this safety glass can fit a host of windows, doors, storefronts and more in institutions and homes. Get your fire resistant materials from us. We can fill your order with next day service! 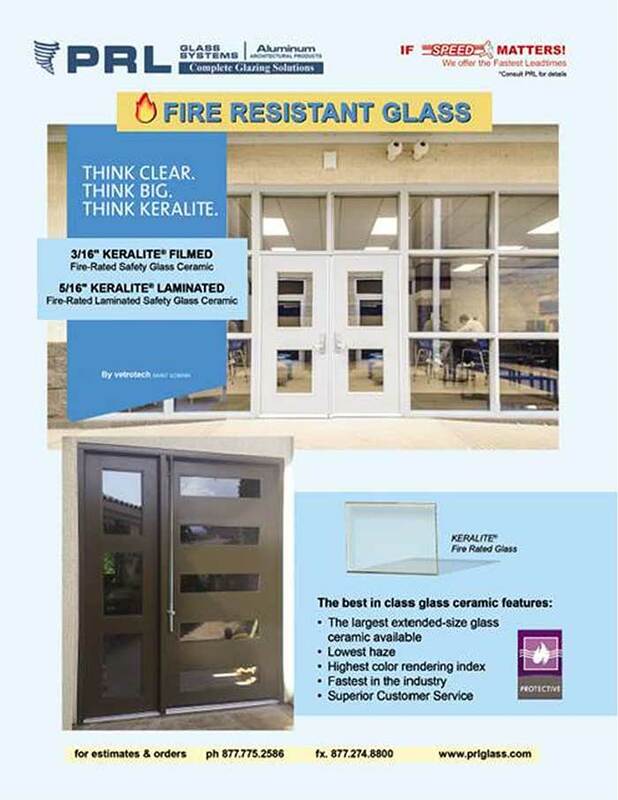 Keralite® is one fire-rated glass you can rely on. Impact rated, UL listed, and in full compliance with building codes, the benefits are clear. In addition to containing smoke, flames and toxic gases, glass-ceramic delivers added protection by resisting breakage from thermal shock and melting caused by high temperatures. Tested to resist high heat levels, this product can be used in fire safety assemblies requiring 20-90 or 180 minute fire ratings. At PRL, we supply the largest extended-size fire resistant materials available. Designed for standard fire protective frames and doors, we stock filmed glass in 3/16″ thicknesses up to 46″x 96″ sizes and laminated glass in 5/16″ thicknesses up to 44″ x 96″ sizes. Polished for superior clarity and rendering low haze, this product grants visible light transmissions of 88% for filmed glass-ceramic and 82% for laminated. Boasting a color rendering index of 97.1 out of 100%, this security glass assures accurate color variations with little to no distortions. Also Please enjoy our Fire Resistant Glass video. Keralite® fire-rated glass is Ideal for government buildings, schools and healthcare facilities, Keralite® fire-rated glass provides optimum safety, security and human impact protection. Don’t compromise when it comes to safety. Specify fire-rated glass for your next commercial or residential project. Carrying a vast inventory of sizes, we can help you stay protected. Need more information about our product lines? 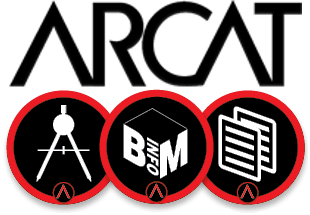 With a simple click you can download PRL’s specs, CAD and BIM files from our ARCAT® page.